A proven track record in delivering high quality residential apartment projects, attention to detail and a great subcontractor base saw PACT Construction selected to construct the ABN Group’s Fringe Apartments project. 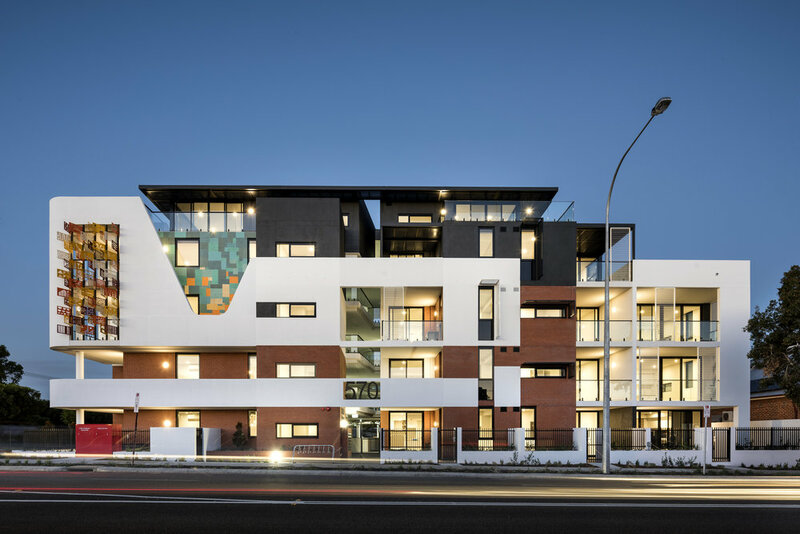 Located on the prime address of William Street, Mount Lawley, Fringe Apartments is a $13.5 million development comprising a mixture of 48 one and two bedroom apartments. Each unit will be finished to a high standard, with quality fixtures and joinery to complement the spacious living areas, bedrooms, bathrooms and ensuites. 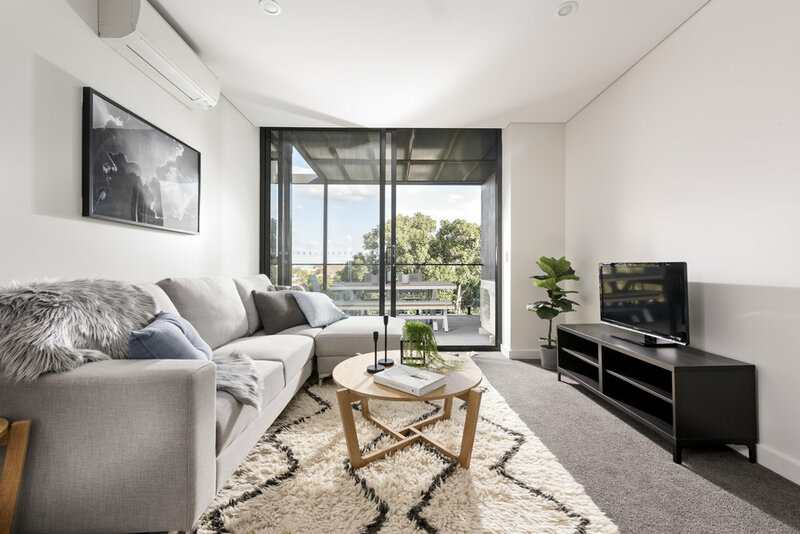 All balconies are tiled with feature glass balustrading to provide an elegant outdoor sanctuary, while basement car parking serves both residents and visitors. The development comes alive with a stunning street presence. An eclectic blend of face brickwork, rendered brick panel (of various angles) and louvered sun-shading come together to create a striking visual appearance. The external façade is crowned with feature 3D multi-coloured laser cut panels (developed by a local artist), which was selected to tie in with the artist’s existing 2D feature wall along William Street. 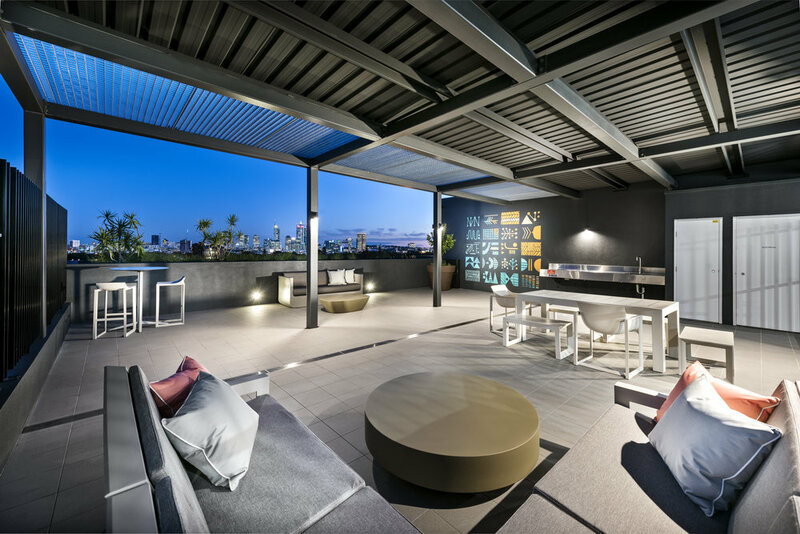 A communal residence rooftop terrace features seating areas under a louvered pergola to give stylish protection from the elements, complemented by a grassed ‘green roof’ area that provides a chic entertaining space. Meanwhile, a locally flavoured landscaping design sees planters of various native species surround the development. The successful delivery of Fringe Apartments strengthens PACT’s already impressive credentials for constructing quality apartment developments. With a growing reputation for completing projects on time and on budget, PACT looks forward to delivering more high caliber apartment projects, like Fringe Apartments, in the future. For further information, please click on the link below.